‘Truck Simulator’ immerses you in clanking, industrial environments and allows you to experience operating a range of gigantic trucks; transporting you to the future and testing your skills in zero gravity environments. Check out the early concept video for upcoming Truck Simulator. “When the boss is away...” bonus levels can also be unlocked. “Pile ‘em high” being one where you are challenged to stack as many pallets as you can without toppling over! Mogworks have been developing 3d games for mobile since 2010. Our most successful game ‘Prison Escape’ for iOS topped the iTunes charts with over 5 million downloads. Embracing emerging trends in visual technology, Mogworks are dedicated to building virtual reality games for you to step right inside and experience a whole sense of scale, light and atmosphere in the world of gaming. Check out the teaser trailer for Prison Escape 2 in development for VR. Designed for virtual reality from the beginning! Imagine navigating through a surreal underground labyrinth where machines have turned on mankind. Build your own ship from the scraps you find and with help of your eccentric crew, battle through hoards of enemies to escape this desolate planet. Inspired by the steampunk aesthetic, Subland will plunge you into the depths of your imagination with its stylized artwork and evolving storyline. Have a sneak peak at the title trailer for Subland. The world of SubLand is a labyrinth of tunnels formed in the ruins of old. 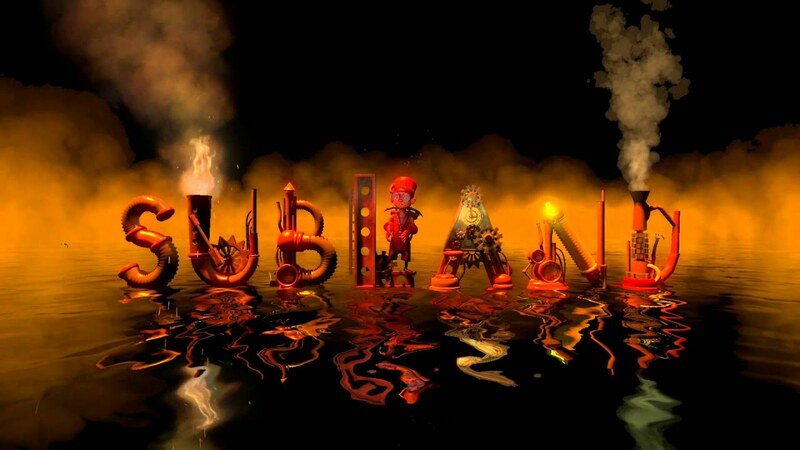 SubLand is set in an alternative history of a post apocalyptic world where steam power is the only source of energy. Sunlight is a rare experience as you navigate mostly under water or below ground. The environments of SubLand are therefore dark and dingy with saturated pockets of fiery light emanating from areas of life and energy. Explore every pocket - you never know what you may find. However beware! This is a dangerous world filled with surreal and deadly machines programmed to destroy all biological lifeforms. Virtual reality brings a whole new sense of scale. Each level in SubLand is vast, dense and filled with activity. You will be immersed in a retro-futuristic world, captivating your imagination at every turn. In a desolate place full of rubble and ruin there are many hidden treasures. Search through the rubble and you will find everything needed to patch up your ship, add new parts and features. In order to survive this dangerous world you must build a bigger better ship. The local currency is scrap metal. Gather what you can - you will need it.